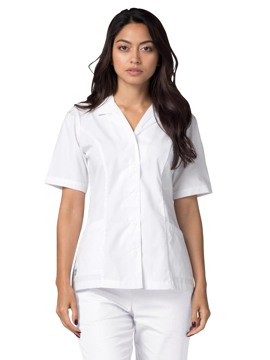 This stylish top features raglan sleeves, ribbon trim at neck opening, besom pockets, and flatlock stitch at princess seam. Center back length: 24½". The Raquel Pant is a straight-leg pant that features yoga knit waistband, cargo pocket, and decorative stitching at knee. Regular inseam: 31". Petite inseam: 29". Tall inseam: 33". The Riley Pant is a straight-leg pant that features yoga knit waistband, cargo pocket, and decorative stitching at knee. Regular inseam: 31". Petite inseam: 29". Tall inseam: 33".